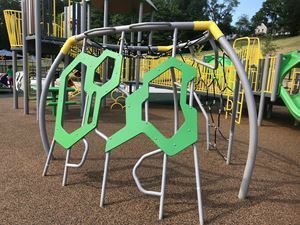 Playground approach. 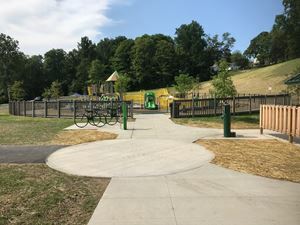 There is bike parking, a water fountain, bathrooms (off to the right) and a picnic pavilion (next to the bathrooms). 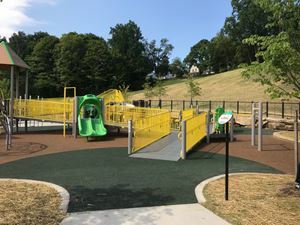 Wheelchair access to the play set is just inside the playground main entry or you can follow the path off to the right and access from a higher point. 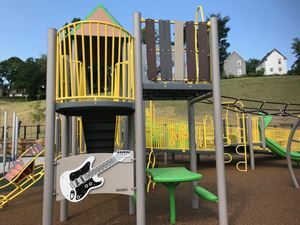 A climber offers diverse climbing surfaces and a net bridge to the main play set. 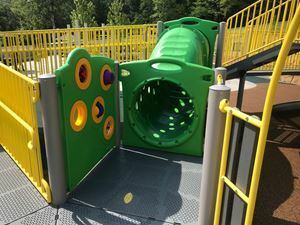 A picnic area under the main play set offers a place for creative play in the shade. 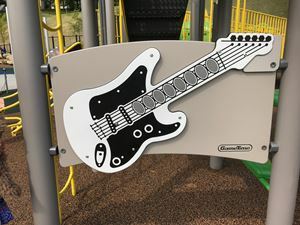 Electronic musical instruments (there are several) offer touch activities. 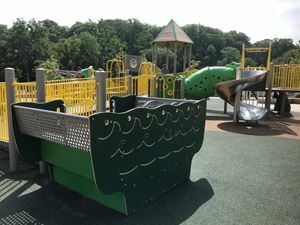 The back of the play set features a glider and other activities. 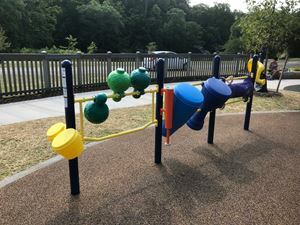 An example of hand activities and climbing features on the main play set. A percussion area offers different types of drums and rattles. 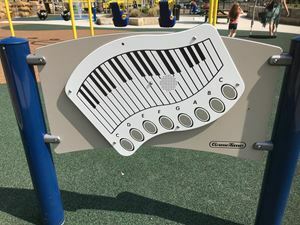 This musical activity is located behind the swings. 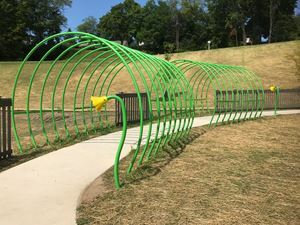 A hooped passage way with listening activity leads the way to a higher elevation access point on the main play set. 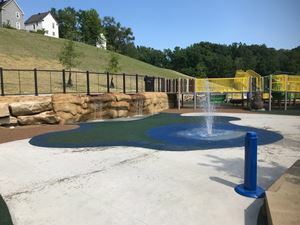 The rock and water play area was tempting to all of the children visiting the playground. 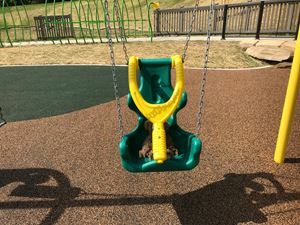 A hand-operated spinner offered fun for riders of different abilities. 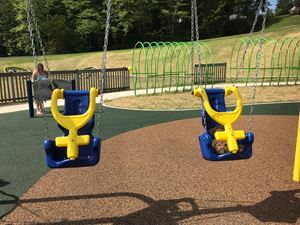 These swings were rated for ages 2-5. 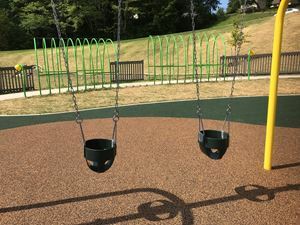 Infant swings and elementary-age swings (not shown) are available. 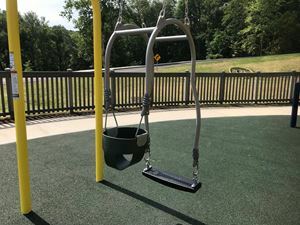 A tandem swing for adults and infants is also available.